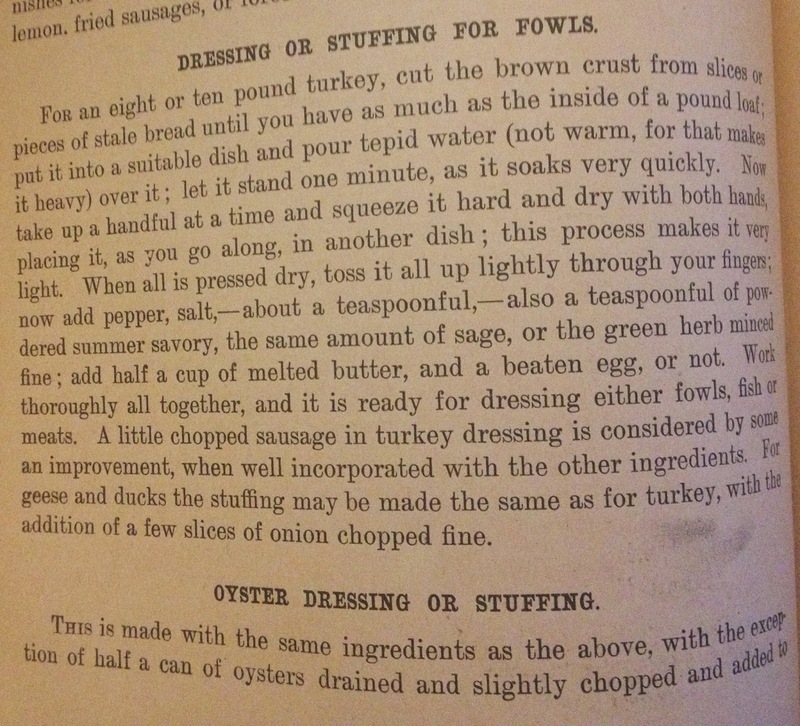 We are taking today off but wanted to leave you with some old fashioned recipes for turkey, stuffing and left overs from the White House Cookbook, circa 1900. I apologize for the photo quality. My copy of the book is way too old to put in the scanner. 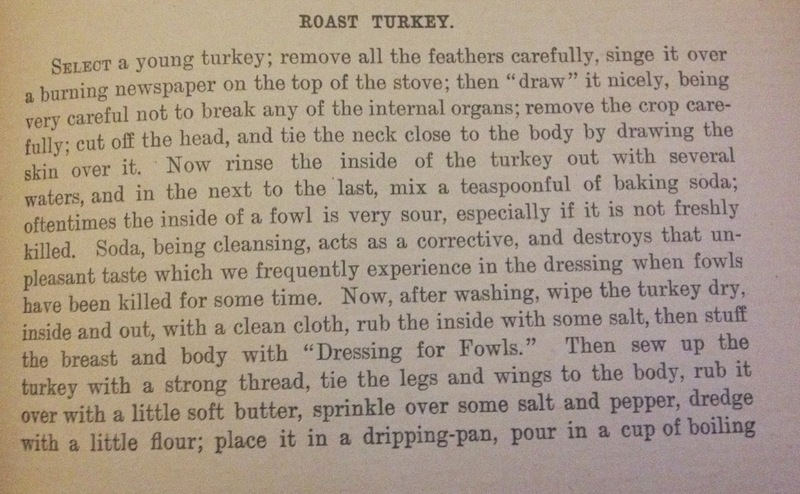 Here's instructions on how to prepare your turkey starting with how to remove the feathers. The directions and comprehensive and go onto the next page, which you see just below the first. 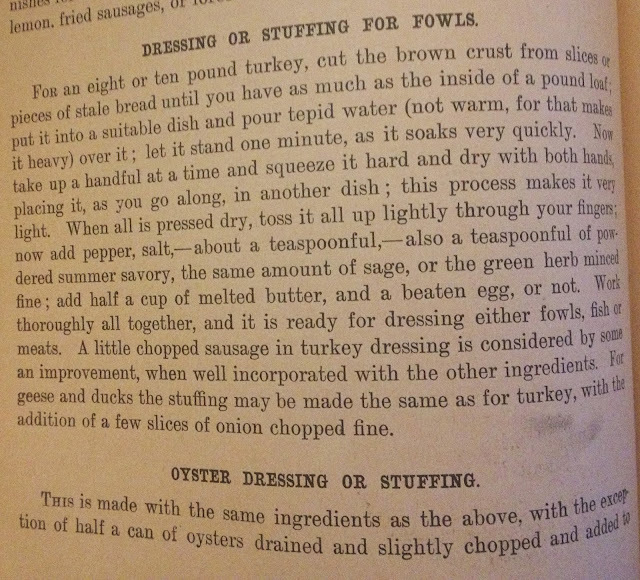 Since the turkey recipe calls for "Dressing of Stuffing for Fowls," I've also included those instructions below. You can see these recipes are more instructional and less prescriptive about weights and measures. 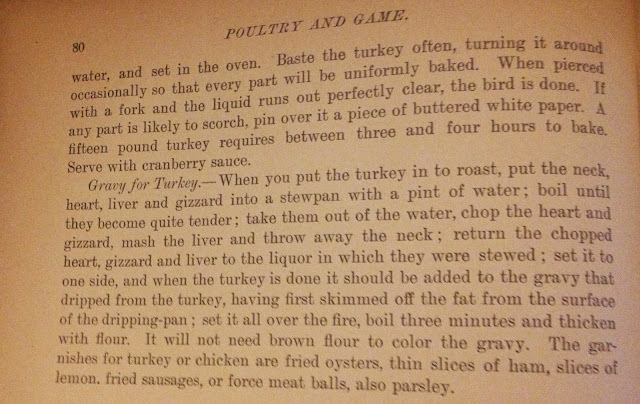 "When carving use a chair slightly high than the ordinary size, as it gives a better purchase on the meat, and appears more graceful than standing, as is often necessary when carving a turkey or a very large joint. More depends on skill than strength. The splatter should be placed opposite, and sufficiently near to give perfect command of the article to be carved, the knife of medium size, sharp with a keen edge. Commence by cutting the slices thin, laying them carefully to ne side of the platter, then afterwards placing the desired amount on each guest's plate, to be served in turn by the servant." 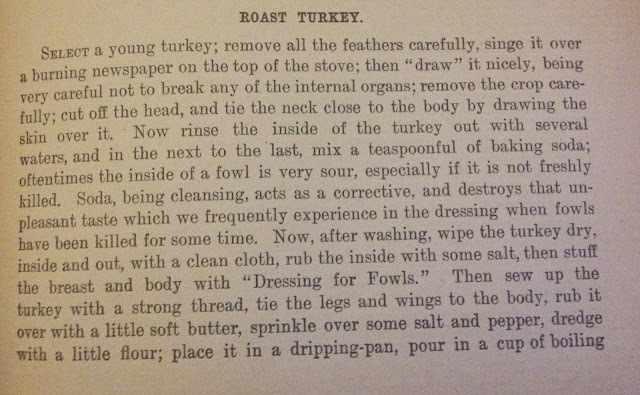 Here's the directions for preparing a boiled turkey in case you don't feel like roasting it. 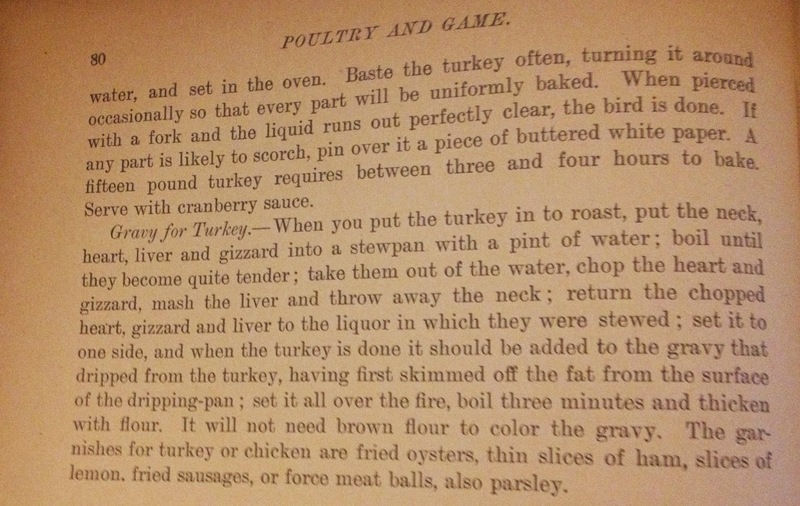 There are also instructions for how to make turkey soup afterwards, for a fabulous left over. Too many mashed potatoes left over? Why not try Presidential Potato Puffs. This recipe looks easier than the others. We might even try it at my house. Boy my cooking is nothing like this.